I’m unashamed to admit that I’m one of the hoards of people who gets excited for pumpkin spice latte season. There’s a local coffee shop here that makes the best PSLs; they have a certain richness to them that almost reminds me of Bulletproof coffee. They’re creamy, a little bit buttery, and full of all those warm and cozy spices that remind us of fall. They’re also full of sugar. So! Much! Sugar! 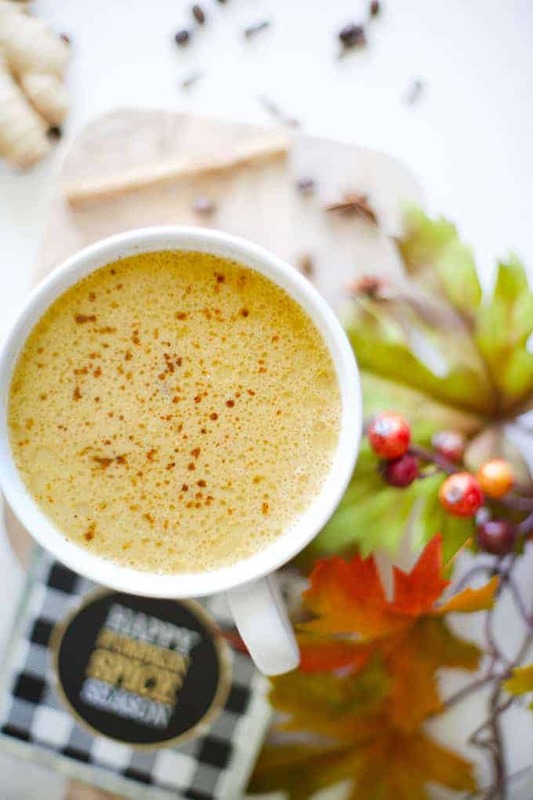 Use an immersion blender or frother to create an irresistible layer of foam on top and you’ve got a healthier version of your favorite fall drink – an MCT oil pumpkin spice latte. Yes! Place milk, pumpkin, maple syrup, and spices in a medium pan on the stove. Heat on low, stirring frequently, for about 5 minutes. Add coffee, and simmer for about 5 more minutes. Remove mixture from heat, and pour into a large bowl. Remove the star anise and cloves. Add MCT Oil, and using a handheld immersion blender, froth.